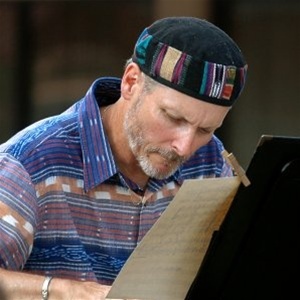 BOB WASHUT is Professor of Music and Director of Jazz Studies at the University of Northern Iowa. An accomplished jazz composer and arranger, Washut has received numerous commissions from collegiate jazz ensembles and professional jazz artists. Many of his compositions and arrangements are published by UNC Jazz Press. In addition, Washut is the published author of several articles in the field of jazz pedagogy. His book of Lee Konitz' solo transcriptions is published by Houston Publishing Company. An active jazz pianist, Washut leads the eleven-piece Latin jazz band Orquesta Alto Maiz, and has performed with the Iowa City Jazz Orchestra, Ed Sarath Quartet, Steve Grismore Quartet, Des Moines big Band, and the UNI faculty jazz group, in addition to leading his own jazz trio and quartet. Director of the award-winning University of Northern Iowa Jazz Band 1, Washut is in constant demand as a clinician and adjudicator throughout the country.